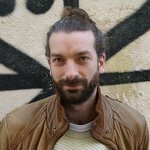 “There’s no such thing as a safe hard fork,” Electrum lead developer Thomas Voegtlin corrected an audience member at the Breaking Bitcoin conference in Paris last weekend. “I would recommend to have replay protection, of course,” he added. Community support for SegWit2x, the Bitcoin scaling proposal spearheaded by Barry Silbert’s Digital Currency Group, was virtually absent in Paris. Whenever the “2x” part of the New York Agreement was discussed in the French capital, speakers and visitors overwhelmingly considered it a risk to defend against — not a proposal to help succeed. Electrum users, for example, will not blindly follow hash power in case of a chain-split, Voegtlin explained throughout his talk; instead, they’ll be able to choose which side of such a split they want to be on. And importantly, the lightweight wallet will implement security measures to prevent users from accidentally spending funds on both chains: “replay protection” that seems unlikely to be implemented on a protocol level if SegWit2x does fork off. Inspired by the successful Scaling Bitcoin conference format, the French Bitcoin community hosted the first edition of Breaking Bitcoin two blocks from the Eiffel Tower last weekend. Bitcoin developers, academics and other technical-minded Bitcoiners gathered for a diverse program, but with the common denominator being Bitcoin’s security. Whereas the first Scaling Bitcoin conference two years ago was a very specific reaction to a looming block size limit increase hard fork — then put forth by Bitcoin XT — this wasn’t necessarily the motivation behind Breaking Bitcoin. Yet, once again, a controversial hard fork is looming on the horizon. This time imbedded in the BTC1 implementation developed by Bloq co-founder Jeff Garzik, the New York Agreement’s SegWit2x is scheduled to increase Bitcoin’s “base block size limit” to two megabytes by November — an incompatible protocol change that could split the Bitcoin network in two. And it did not take much to recognize how unpopular the proposal was in Paris. 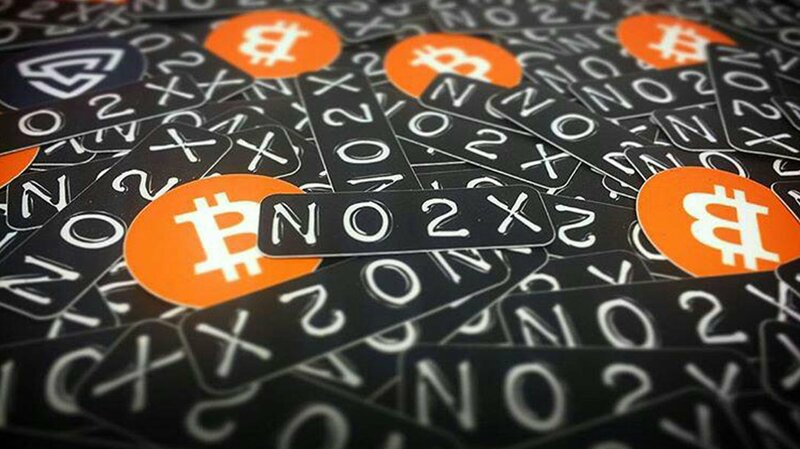 Perhaps most vividly, Italian Bitcoin startup ChainSide led a protest campaign by distributing NO2X stickers; the Twitter hashtag was proudly added as a piece of flair to the by now well-known Make Bitcoin Great Again and UASF hats. And voices critical of the project — like Voegtlin and his call for replay protection — could consistently count on rounds of applause. From a technical perspective, the proposal is often considered — quite frankly — to be reckless. “Unfortunately, SegWit2x […] was designed to effectively be as disruptive to the minority chain,” MyRig engineer and BIP91 author James Hilliard said on stage during the miner panel. Arguments against the 2x hard fork are diverse. Perhaps its biggest problem, SegWit2x currently lacks basic safety measures to prevent unsuspecting users from losing funds. This includes, most importantly, the aforementioned replay protection, but a new address format would be similarly helpful. Additionally, the three-month lead time for this specific hard fork is considered extremely short — assuming the goal is to prevent a chain-split in the first place. “If you ask any of the developers, they will typically want to see 18 months or two years lead time, for something with as wide an impact on all the software and hardware out there as a hard fork,” Blockstream co-founder and Hashcash inventor Dr. Adam Back noted during a Q&A session. And if the chain does split into different networks and currencies — one following the current Bitcoin protocol and one adopting the hard fork — the question becomes which of the two gets to use the name “Bitcoin.” So far, proponents of the SegWit2x hard fork have shown no willingness to pick a new name. 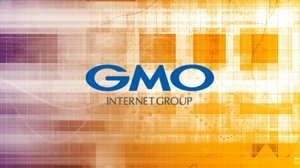 This branding issue, Bitcoin Core contributor and Ciphrex co-founder Eric Lombrozo pointed out, provides yet another point of controversy. And for now, not everyone is convinced that SegWit2x does indeed have this level of support — or anything close to it. While several large mining pools, as well as a significant number of companies, have signed on to the New York Agreement, this agreement was itself drafted without any feedback from Bitcoin’s technical community nor — even more important — a reliable gauge of user sentiment. And while some Bitcoin companies claim to represent their customers, this is — once again — not taken for granted by everyone. If Breaking Bitcoin in Paris can be considered at all representative of SegWit2x’s community support — which, it should be noted, is not necessarily the case — the proposal will face an uphill battle to be widely accepted in November. Indeed, some signatories of the agreement are not so sure about the hard fork anymore: Bitwala and F2Pool have publicly backed out of the agreement. And, during a mining panel in Paris, Bitfury CIO Alex Petrov ever so slightly opened the door to potentially withdrawing support as well, if both the original and the 2x chain manage to survive. In fact, it’s not just that contentious hard forks are considered a threat to be defended against by Bitcoin’s technical community. It goes beyond that.